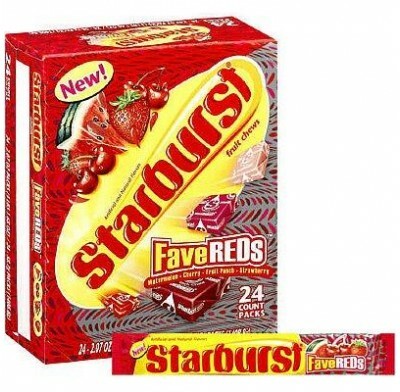 Starburst Favereds from M&M/Mars are the classic Fruit Chews with only the deliciously red flavors picked out. The “favereds” include Strawberry, Cherry, Watermelon and Fruit Punch. 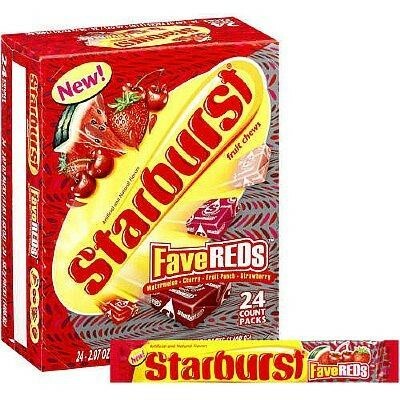 There are 24 rolls of Starburst Favreds per case.